London, turn of the century: people used coal for heating. The coal was shipped from the Yorkshire coalfields. 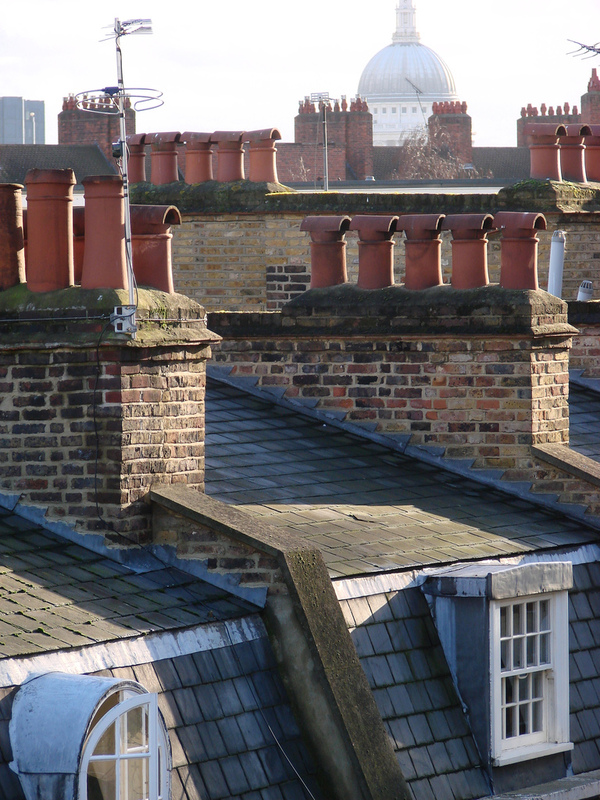 Thousands of individual chimneys filled London’s air with thick smoke. Today, coal is burned in large power plants and electricity is shipped to keep the London flats warm. People use standard equipment (220V, 50Hz and the bulky British plug) to connect to the system. The individual chimneys (silos) have been successfully replaced with shared services. These services are standardized, metered, efficient, and inexpensive. Silos are gone and air quality is much improved in London. Organizational silos are natural. People are very productive and communicate the most effectively in smaller groups. That is why startups are so much more efficient than large corporations, why Facebook introduced “Groups” and Steve Jobs’ small Macintosh team within Apple was incredibly productive. That is why New Guinean natives developed over 800 languages. On the other hand, the unintended consequence of strong group identity is xenophobia and a private language, like IT jargon, that is difficult to understand for outsiders. IT silos or “shadow IT” is a common occurrence in poorly performing organizations. The central IT organization may also form its own silo, and thereby gets disconnected from the mission of the Enterprise. A good working definition is: The Silo is a barrier of influence and information. It is aligned with the organizational hierarchy. 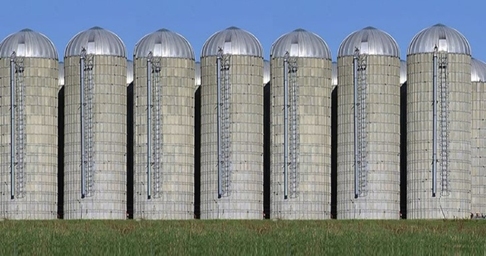 Are all silos bad? Not necessarily. They are advantageous if the desired operating model is one of a holding company with little information and processes shared between the silos. On the other hand, if high levels of integration, collaboration, information sharing, and common process are needed, silos can diminish efficiency and agility. To comprehend and formalize the “as-is” and “to-be” states, one can use reference architectures. Depending on the level of maturity, the unit of reference can be an organization like IT. In this case, one would capture the main suppliers, customers, inputs, outputs, functions and constraints of the silo. Some shops call this the “Management Systems” approach. An integrated approach requires much higher maturity and investment level. In this case, the unit of reference would be the business process like Order-to-Cash, Procure-to-Pay, Plan-to-Make or Record-to-Report. These processes cut across many organizations and force the demolition of silos. Setting up an organization is a compromise. As the degree of separation increases between people, the ability to influence decisions diminishes. To create a well-functioning organization, one would need to generate use cases first. The use cases would list the key functions of the organization and corresponding interactions, and ensure that the accountable players have the necessary influence to be successful. There is also an organizational Darknet of influence independent of the organizational hierarchy. It is based on trust, and many years spent working together. It is the reflection of the organizational memory. People seek out each-others’ advice before making a decision, regardless of the hierarchy. 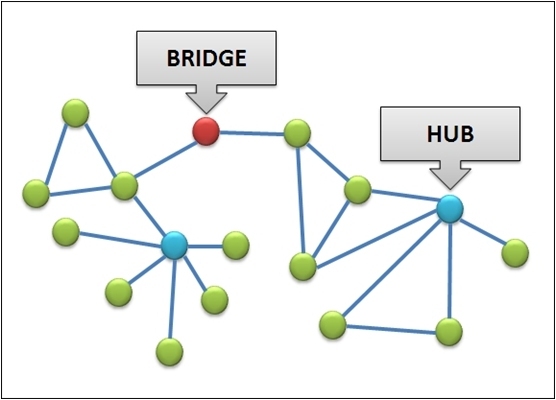 There are two types of important nodes in social networks: hubs and bridges. Hubs have a lot of connections therefore they have high aggregated organizational influence. Silos can form around hubs. Bridges are the connectors between the larger, well-connected networks (silos) therefore they are vital to hold the Enterprise together.